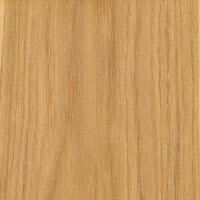 Key difference: Oak is considered to be a hardwood, heavy, long-lasting and expensive. Oak is also known for its strength and durability, as well as high resistance to moisture and humidity. Teak wood is another type of hardwood. It has a smooth grain and texture. It has a yellowish brown hue, which may mature overtime to a silvery-grey finish. In fact, teak is famous for its high oil content, high tensile strength, and tight grain. See the difference between teakwood and rubberwood. Oak and teak wood are two different types of woods. They are sourced from different types of trees and have different qualities. Still, both are types of hardwoods. Hardwood is the wood that comes from an angiosperm tree. This is a type of tree that has seeds that are enclosed, be it in pods, a shell, a covering or in a fruit. For example, apples or nuts and seeds like acorns and walnuts. These types of seeds allow birds and insects to be attracted to the flowers of the tree and be able to carry the pollen to other trees. This is also the reason why hardwood trees are not often bunched together but are spaced apart and often have other trees in-between them. Most hardwood trees are also deciduous is nature. A deciduous tree is a tree that loses its leaves annually. Hardwood trees are also slower to grow, taking their own time. Due to this, most hardwood is dense. This is also the reason that hardwood is expensive, as it takes longer to grow. Some famous hardwoods include maple, balsa, oak, elm, mahogany, and sycamore. See: Mahogany Vs. Teak. Oak is a tree in the genus Quercus. It has over 600 species. Oaks have spirally arranged leaves with lobed margins. Some species have serrated leaves or leaves with smooth margins. The leaves of the oak tree tend to fall off in spring. Oaks bear fruits, known as acorns. As a wood, oaks are considered to be hardwood, heavy, long-lasting and expensive. This is mainly because oaks take a long time to grow; hence quantity or oak is not readily available in abundance. Oak is also known for its strength and durability, as well as high resistance to moisture and humidity. Hence, it is quite popular for furniture, such as dining tables and chairs, as it can survive long and hard use. As it is heavy, it does not look well with paint, so staining is the ideal choice for oak. Oak has many other applications including flooring, barrels for production of wines and brandies, and for tanning leather, due to the high tannin content. Also, the bark of the white oak has many medicinal uses. Furthermore, Japanese Oakwood is often used for making professional drums. Teak wood, on the other hand, is sourced from the Tectona grandis tree species, which is native to south and southeast Asia, mainly India, Indonesia, Malaysia, Thailand, and Burma. However, due to the high demand for teak wood, the Tectona grandis is also grown on plantations in Africa and the Caribbean. Still, Burma accounts for almost one-third of the teak in the world, hence teakwood is also at times referred to as Burmese Teak. 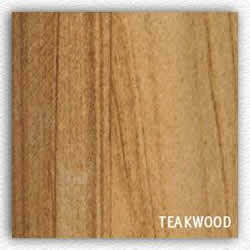 Regionally, teakwood is known as 'Segun' in Bengali and as ‘Sagwan’ in most of India. Teak is often used to make furniture, especially countertops, as well as indoor flooring, veneer, carving, turnings, and other small wood projects, such as cutting boards. Teak is also commonly used to make doors, window frames, and columns and beams. Furthermore, because of its high oil content, it is also often used to make outdoor furniture, as the wood’s natural oils make it resistant to water, as well as to rot, fungi and mildew. This has also allowed teak to be used for boat building, boat decks, etc. As a hardwood, teak is sourced from slow growing trees. The high-quality teak is sourced from trees are that are at least 50 years old. The teakwood can be sourced from trees that are younger in age, but this timber is not considered to be of high quality. See: Teakwood Vs. Sheesham.